Adolescent years are characterised by increased responsibility and autonomy. Learning how to independently judge a situation and make informed decisions is a key skill that is relevant to many aspects of our lives. 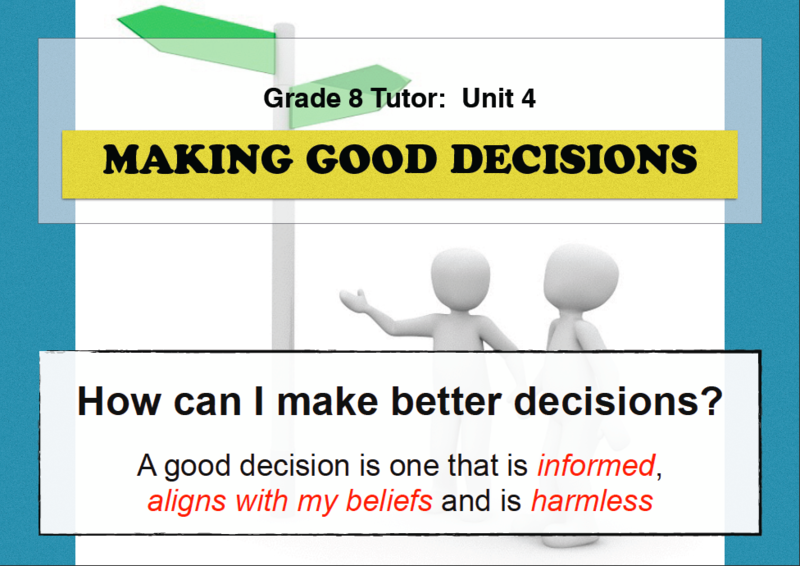 In these lessons we will learn what makes a healthy decision-making process as well as investigate various factors that may influence us when making choices. Session 1 – What makes a good decision?